If you love someone who loves their pet, Precious Metal Prints makes a wonderful gift. The kit comes with everything you need to take an impression of a pet’s nose. 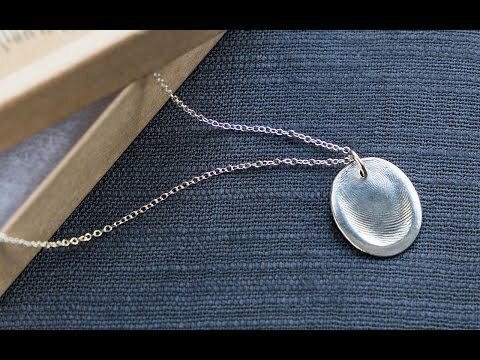 Send it back to Precious Metal, and they’ll turn it into a handcrafted custom charm necklace in just a couple of weeks. I am very happy with this purchase! Also, bought another for a friend! I do love my nose pendant. I wish I had done a better job making her Imprint. 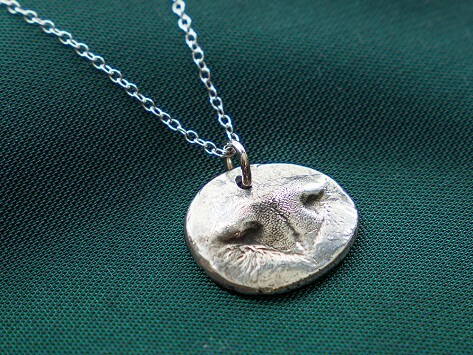 I also think there should be an option to order only the pendantr only the pendant without the chain.